Simple sock shape of hand essence pack, easy and convenient for application. 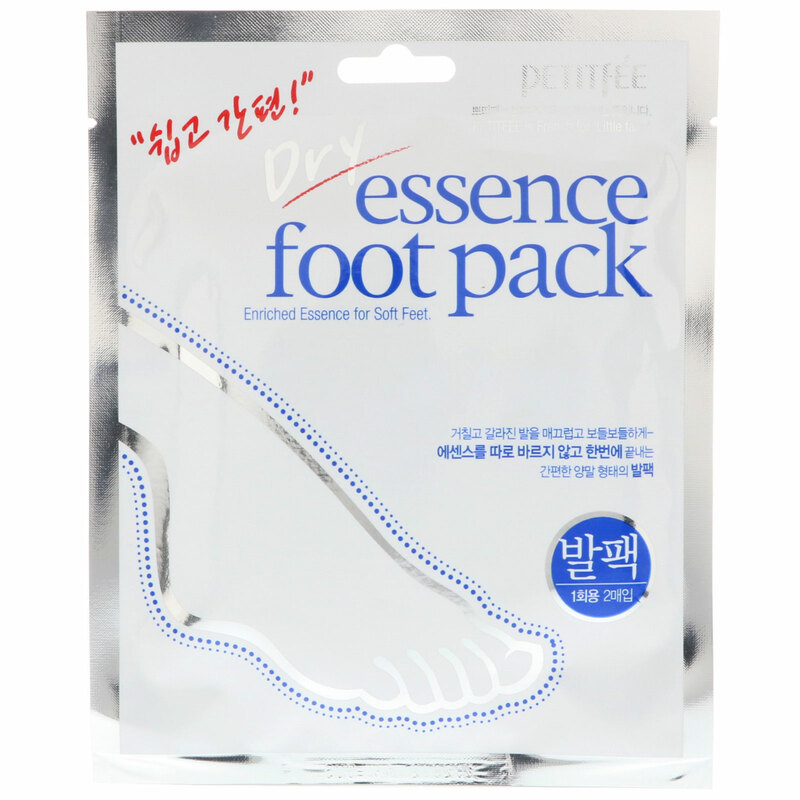 Highly enriched foot cream is dry-processed into the pack. Dry essence is contained in non-woven fabric of the sock shape and the essence gets absorbed into feet as it melts by a body temperature. Aloe extract soften dry, rough feet and toenails. Wash feet and dry thoroughly. Open feet pack and put on the pack. Wearing socks over the pack can be convenient activity and help for better absorption. After 15-20 minutes, remove the feet pack. Water, glycerin, butylene glycol, helianthus annuus (sunflower) seed oil, cetearyl alcohol, butyrospermum parkii (shea) butter, isopropyl myristate, urea, betaine, caprylic/capric triglyceride, glyceryl stearate, sodium hyaluronate, portulaca oleracea extract, hamamelis virginiana (witch hazel) extract, aloe barbadensis leaf extract, dimethicone, biosaccharide gum-1, peg-32, 1,2-hexanediol, polysorbate60, persea gratissima (avocado) oil, melaleuca alternifolia (tea tree) leaf oil, steareth-2, steareth-21, stearic acid, carbomer, citrus paradisi (grapefruit) fruit extract, collagen, xanthan gum, snail secretion filtrade, allantoin, fragrance, disodium edta.